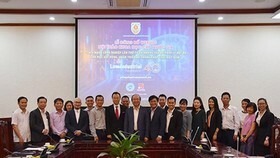 The Vietnam Post Corporation (VNPOST) is assigned to cooperate with the Ho Chi Minh Communist Youth Union and the Vietnam National University – Hanoi to launch the project ‘Data Foundation for the Vietnamese Digital Map’. A post officer is collecting information for an address in Hanoi. The aim of this project is to create and then share addresses of all houses, state offices, schools, cultural sites, healthcare institutes, tourist attractions, and stores. 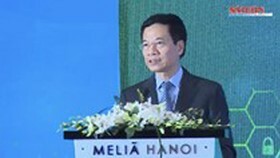 It is in the framework of the larger project ‘Digitizing the Vietnamese knowledge’, approved by the Prime Minister. 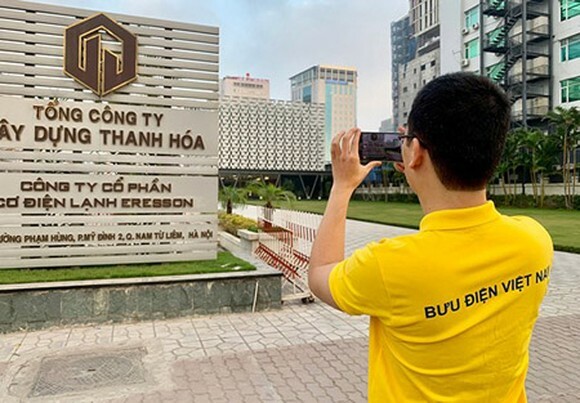 Until the middle of January 2019, the database has around 1,387,000 addresses ready for the creation of the first Vietnamese digital map. As scheduled, in this month, all provinces and cities in the country will finish the task of collecting data. The digital map is expected to include the basic maps of Vietnam, with all borderlines and information on administration, traffic, river systems, as well as precise coordinates of all locations in the nation, along with necessary applications. 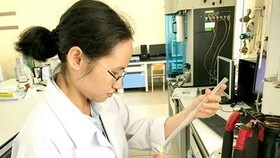 Deputy Minister of Science and Technology Bui The Duy affirmed that Vietnam must have its own database system to serve the task of governmental management and to meet the searching demands of citizens. 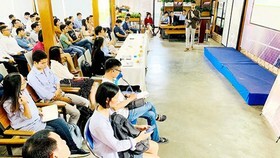 The ‘Data Foundation for the Vietnamese Digital Map’ is a basis for other businesses to develop their own software related to various fields of education, culture, tourism. Simultaneously, citizens can access this map to easily locate desired places. 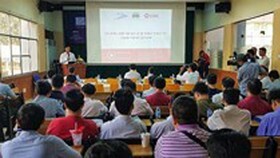 Thanks to its unrivalled experience, VNPOST is assigned to be the leader of the project, responsible for establishing the map, ensuring proper infrastructure for the whole project, preparing suitable data collection and checking methods. In order to finish the data collection task in January 2019, all post offices in the nation are exploited to the fullest capacity. However, certain households and organizations, due to their unawareness of this essential project, still strongly protest against authorized officers. 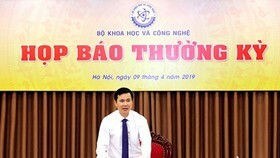 To timely tackle this problem, Vice Chairman of the Governmental Office Nguyen Van Tung announced the request of Deputy Prime Minister Vu Duc Dam (in the document No.12709/VPCP-KGVX) for the People’s Committee of all levels to closely cooperate with the Ministry of Science and Technology, VNPOST, and related offices to fulfill the task successfully. Particularly, the request encourages the enthusiastic participation of citizens in collecting addresses. 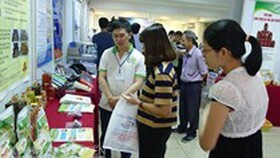 Noticeably, all post offices and offices of the Ho Chi Minh Communist Youth Union have to be unified and transparent in task distribution. 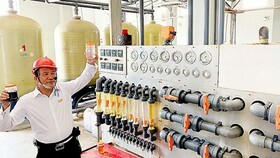 Accordingly, the former group is in charge of the technical and human training fields while the latter is the main force to collect necessary data. Also, the two provinces of Phu Yen and Hau Giang, where the collection task is basically finished, will be the piloting locations of this map. The project should be propagandized to all citizens and organizations nationwide so that they themselves can update and insert more materials to make the map more informative. 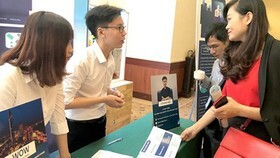 It is hoped that in the second quarter of 2019, the finished version of the Vietnamese digital map can be launched.